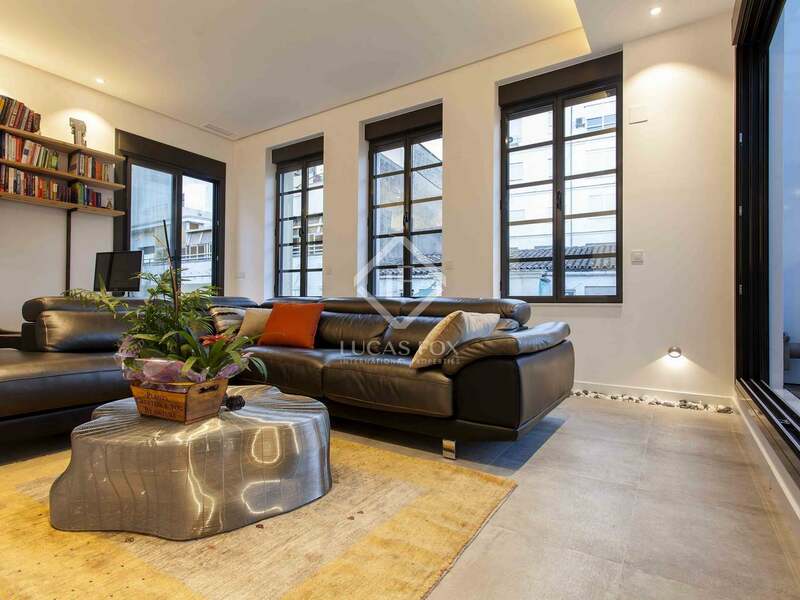 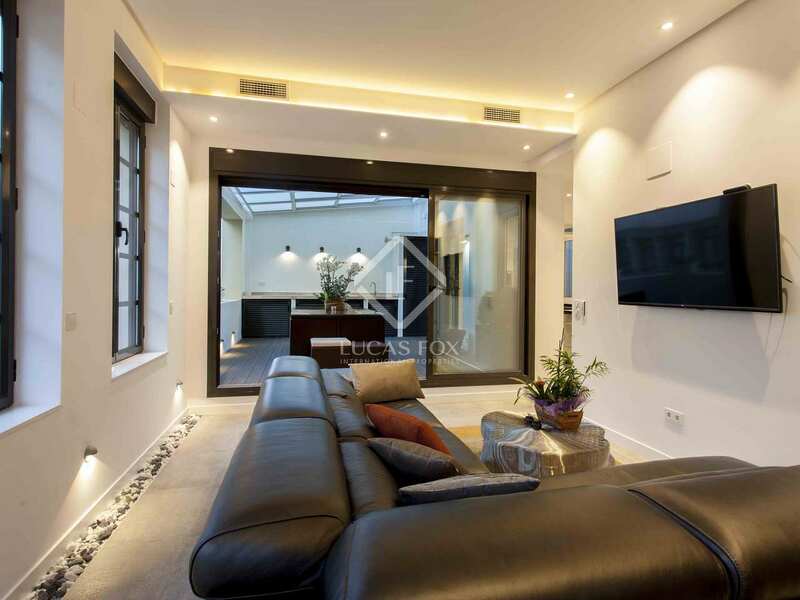 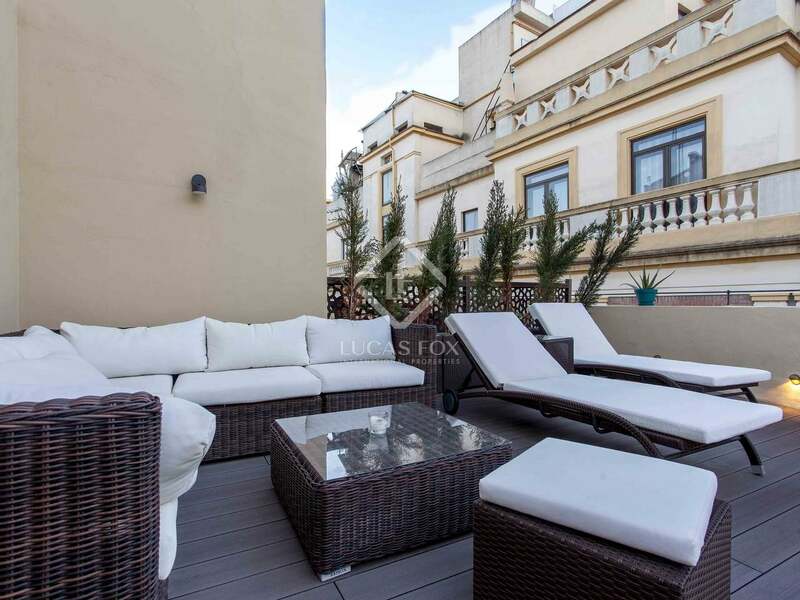 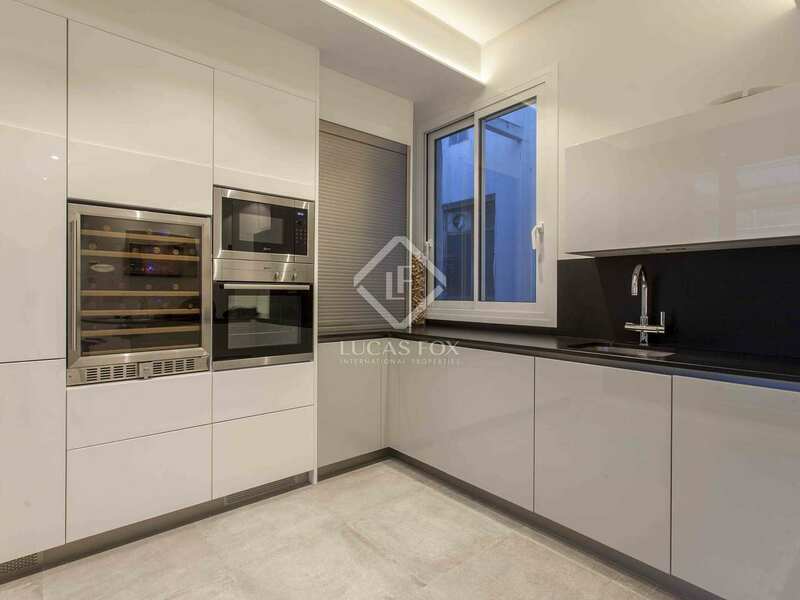 Fantastic penthouse, fully renovated with luxury finishes, 3 bedrooms and 2 large terraces, for sale just 20 meters from Plaza del Ayuntamiento, Valencia. 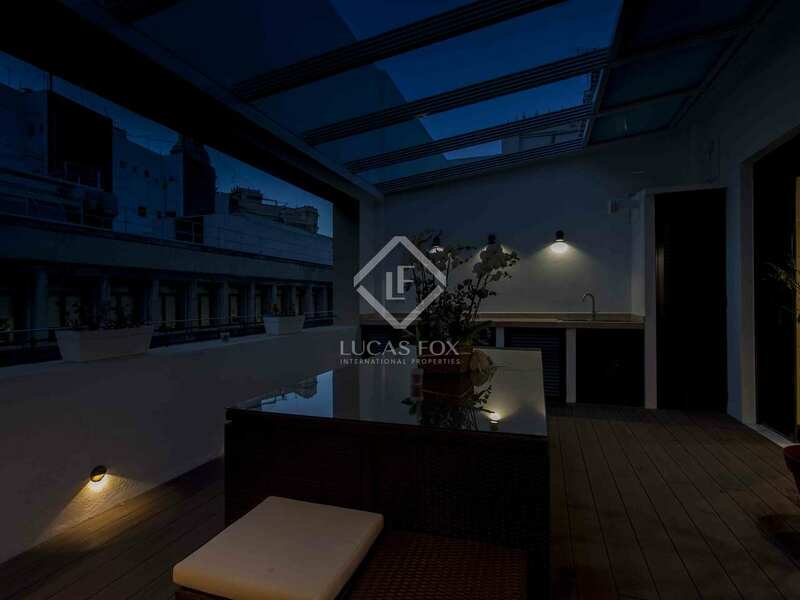 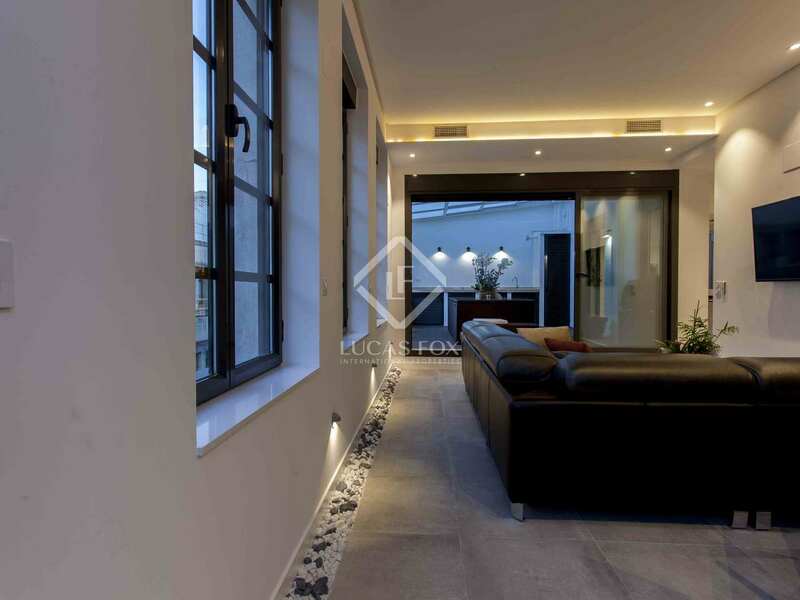 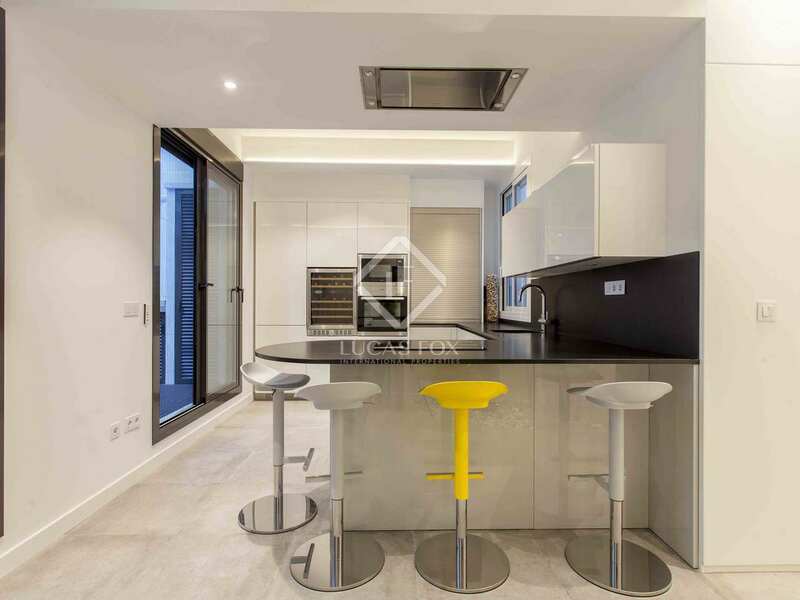 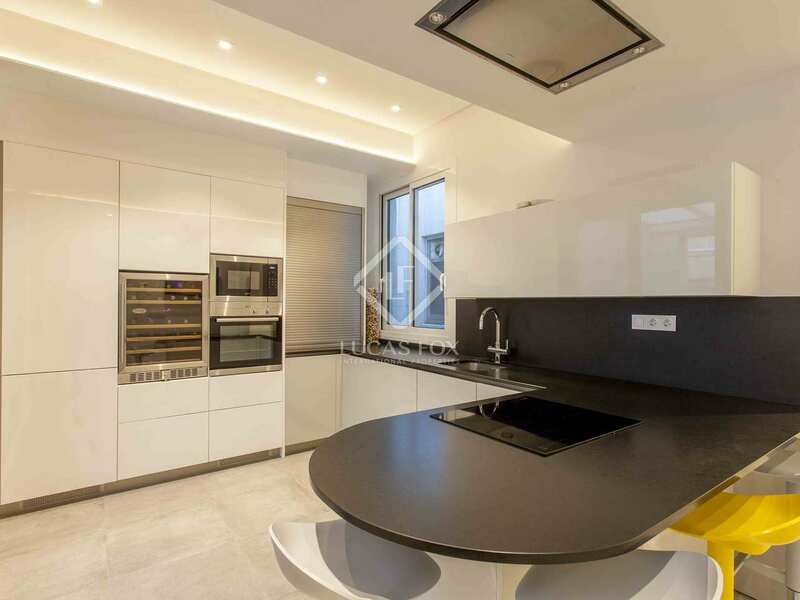 160m² penthouse, fully renovated with luxury finishes, LED lighting and south-east orientation. The penthouse is within a building dating back to 1940 which has a lift and is just 20 meters from the Plaza del Ayuntamiento. This unique property has 3 bedrooms and spacious, day time areas in addition to 2 large terraces, 1 of which can be partially covered, designed especially for barbecues and cooking outdoors. 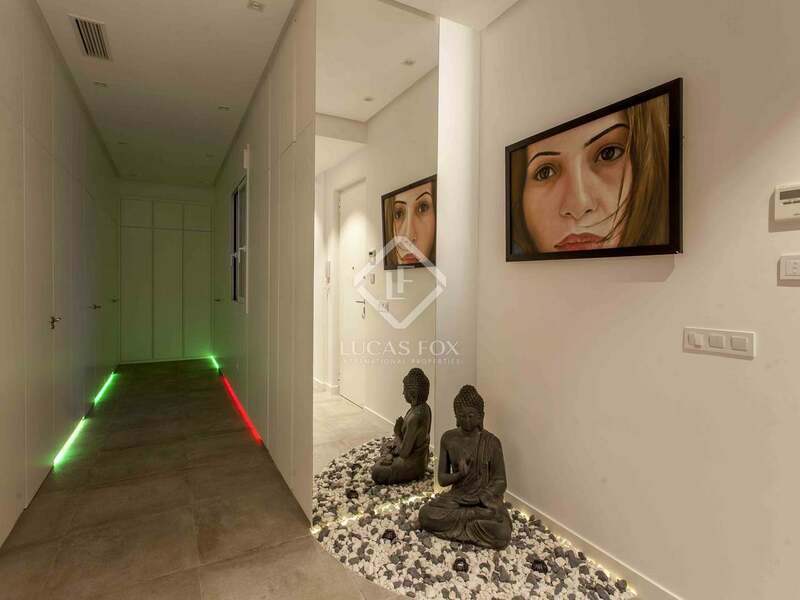 We enter the property into a hallway with, to the right, a white wood panelled corridor. 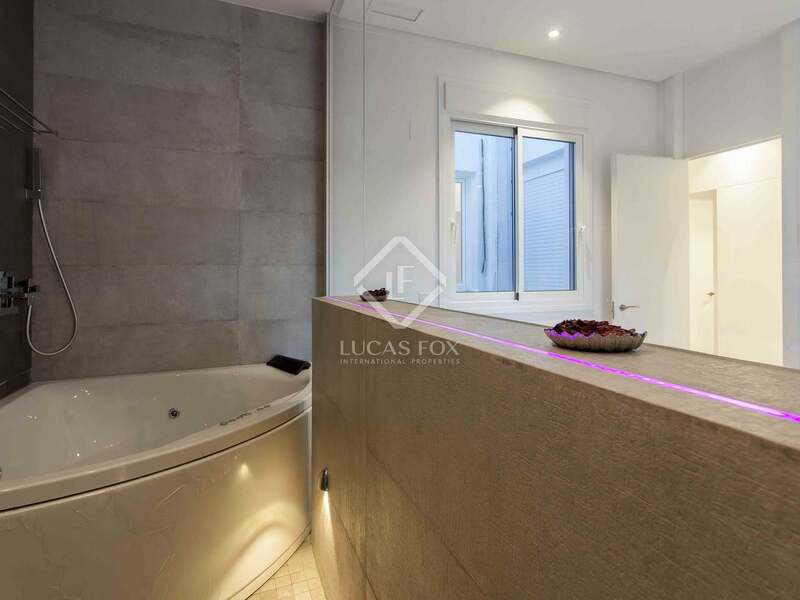 At the far end, to the right of the corridor we find the master bedroom with a private bathroom separated from the bedroom by a glass wall, and with a shower and Jacuzzi. 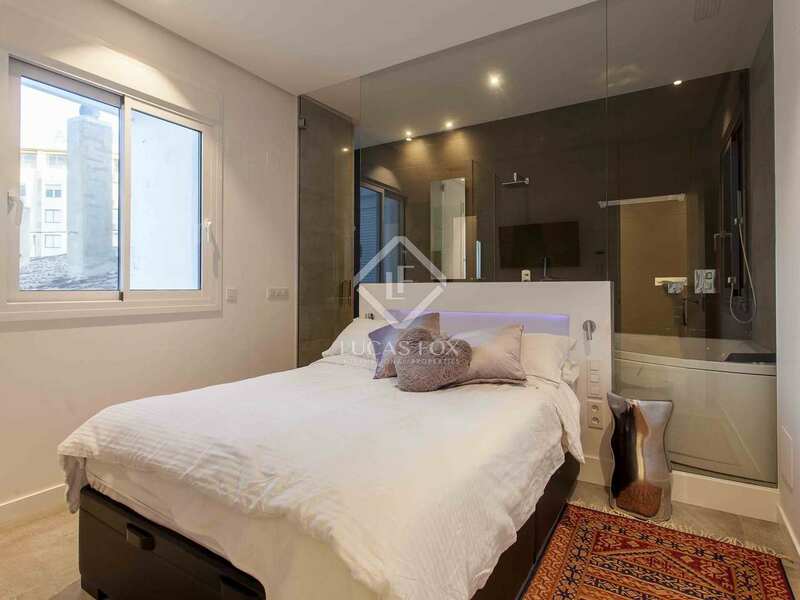 The master bedroom also has a separate dressing room. 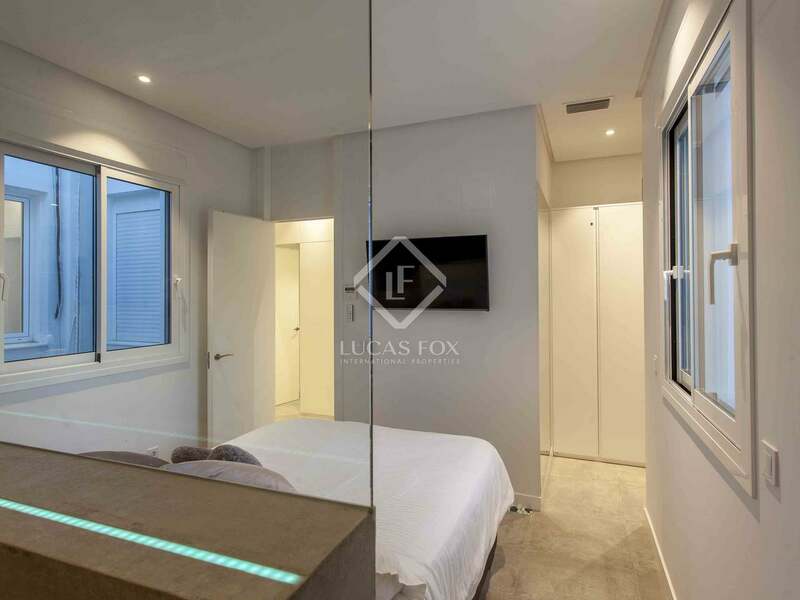 Other than the bedroom, in this part of the house there is also a window which lights the area and a door leading to the utility room, there are built-in wardrobes close to the entrance. 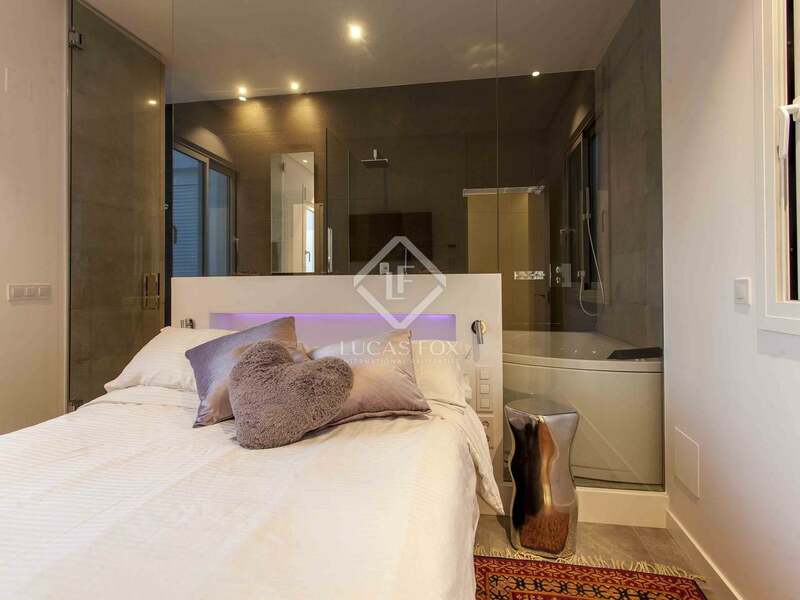 To the left of the corridor there are 3 doors, the first and second lead to a bedroom with built-in wardrobes whilst the 3rd leads to a bathroom. 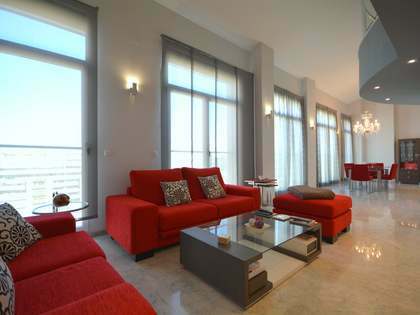 To the left of the hallway we find the day time area with a large living area which has access to the terrace and the U shaped fully-equipped kitchen with fridge and dishwasher included. 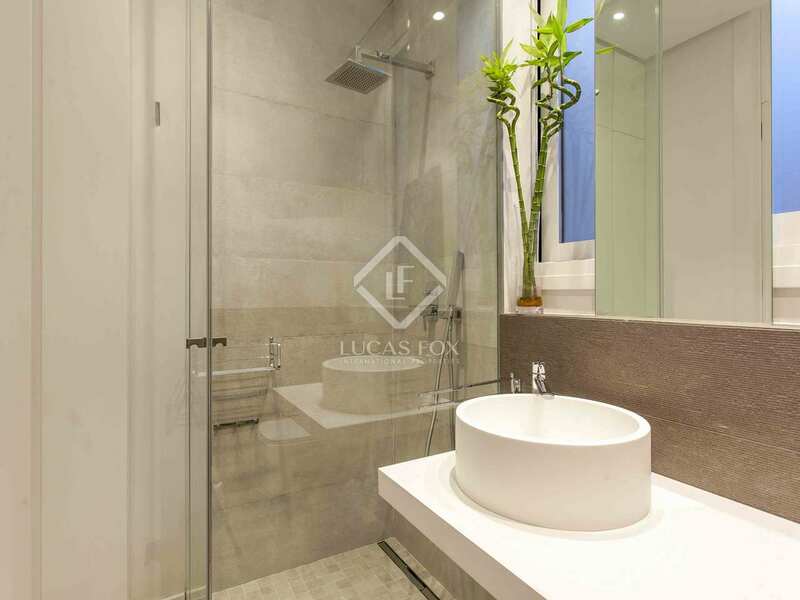 The sink has an osmosis system and can heat a small quantity of water to 100 degrees in just 3 seconds. 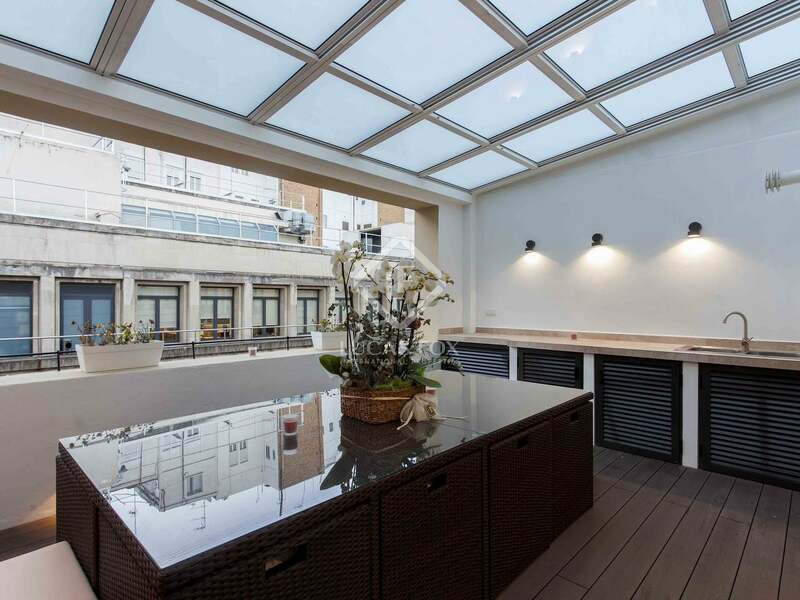 The terrace which can be partially covered is accessed from the kitchen, it has a barbecue and a long service bar hiding the washing machine and tumble dryer. 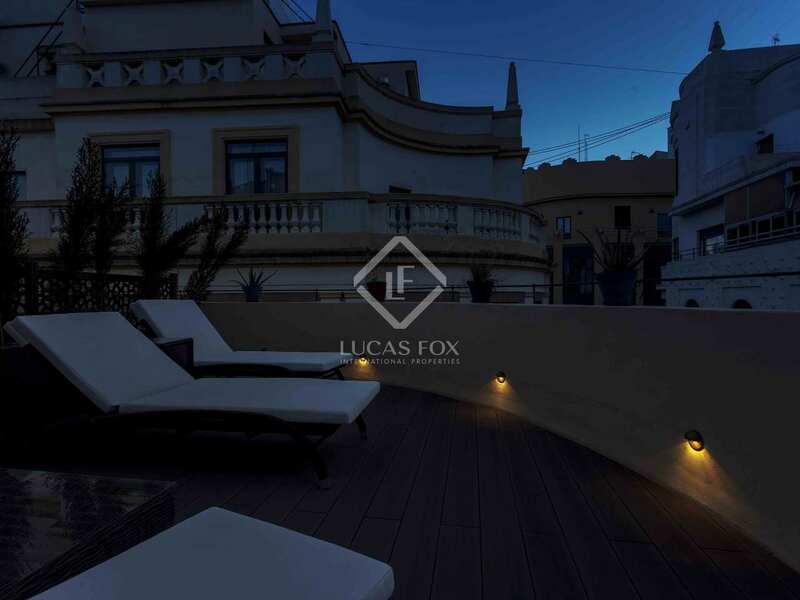 The other terrace offers a chill-out area, ideal for relaxing. The perfect property for those seeking a penthouse with luxury finishes, located in the very heart of the city. 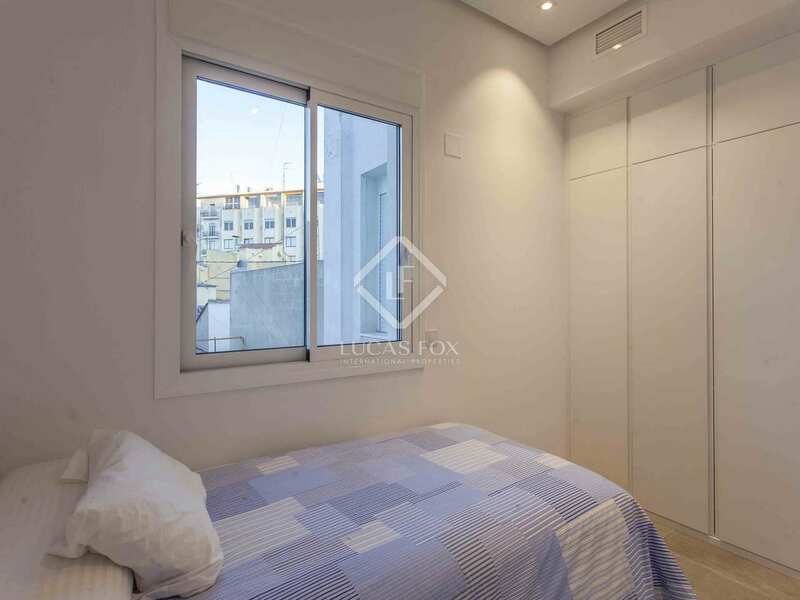 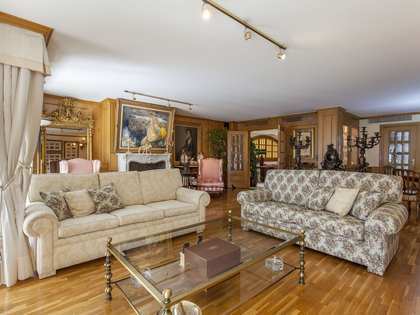 Located in a peaceful street just 20 minutes from Plaza del Ayuntamiento and the Rialto theatre. 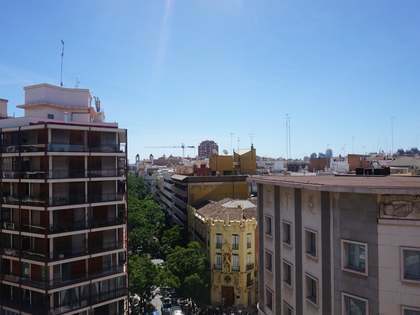 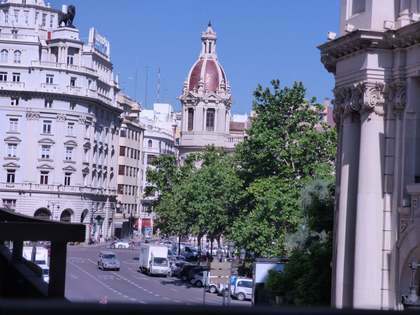 The area is well connected by public transport to the rest of the city being just 300m from Valencia's train station and a metro station.